Size: Wick diameter: 2mm (0.079 inch); Sustainer diameter: 15mm (0.59 inch). Available Wick Lengths: 40mm (1.57 inch); 50mm (1.97 inch); 75mm (2.95 inch); 100mm (3.94 inch); 150mm (5.90 inch); 200mm (7.87 inch). Features: PRE-Waxed, Cotton Cores, with Zinc sustainers / tabs. 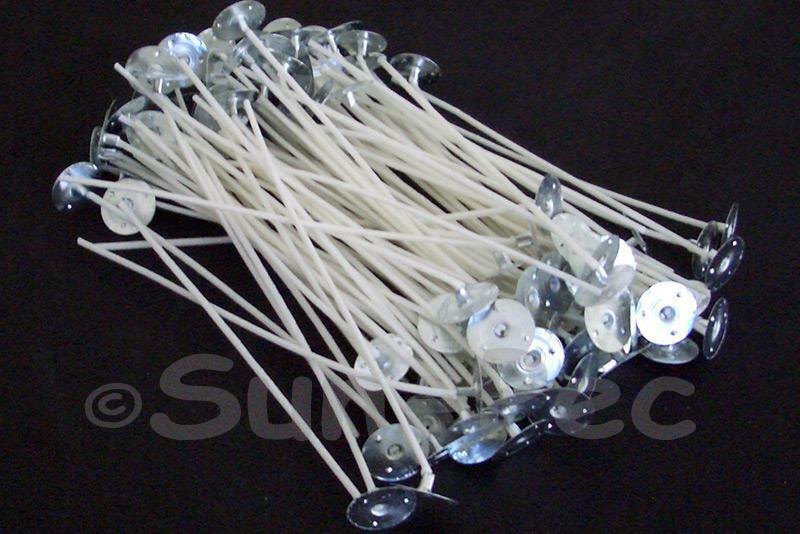 High quality wicks designed for use with soy, gel or paraffin wax.